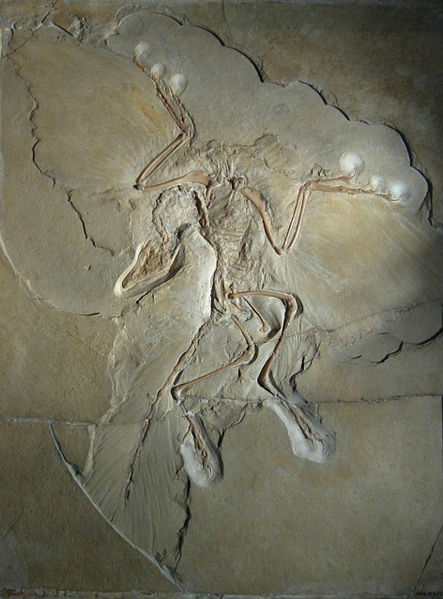 The London Archaeopteryx was discovered in 1861. In 1877 a second and even better preserved specimen was found in the same limestone in Solnhofn, Bavaria. This second specimen had a head which also included a full set of reptilian teeth, thus greatly strengthening Huxleys claim that Archaeopteryx was the missing link between dinosaurs and birds. This specimen was sold to the Humboldt Museum in Berlin.